Venture out to Chippewa Nature Center for the monthly Families in Nature program series! Join CNC’s naturalists for this outdoor program to explore the wonders of Michigan’s seasons. Come explore spring woodland pools using dippers and nets. 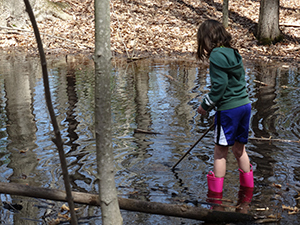 We will try to find the frogs, salamanders, fairy shrimp and other aquatic invertebrates that call the vernal pools home.